Shipping Dimensions: 14" x 10" x 10"
Your Storytelling Friend! Reads and Sings to you Anytime, Anywhere! When Teddy Ruxpin was launched in 1985 he was a first-of-its-kind animatronic toy with motorized eyes and mouth, and he told stories through a cassette player in his back. Now he's back and better than ever for a new Generation of Kids! 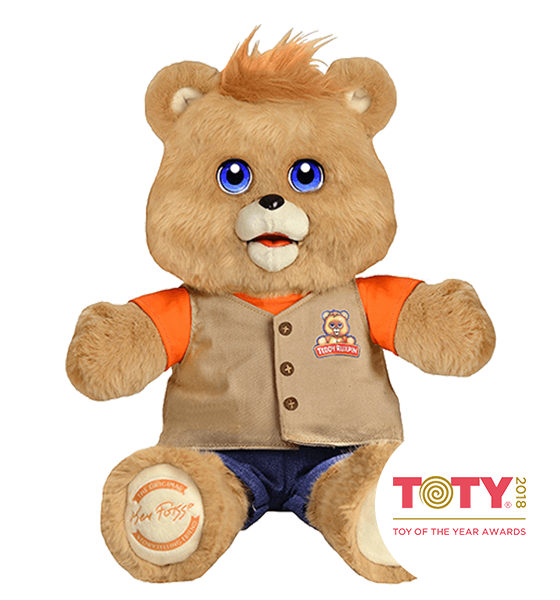 Teddy Ruxpin will read stories with a motorized mouth but now he has colour LCD eyes that show 40 animated expressions synched to the stories. He can blink and look up and down, and his eyes also flash hearts, stars, even snowflakes. He has an internal hard drive with 3 stories about his adventures, with an option to download additional ones. Your child can take Teddy anywhere, anytime for story-time. Kids can read along to the story Teddy is telling on the App! The App will be in-sync with Teddy, flipping the pages as he reads. •LCD Eyes with expressions synced to the stories. •Motorized Mouth that reads the stories to the pre-reader child. •Touch sensors in hands that allow the child to start / pause the stories as well as forward to the next story. This is a great gift with a large nostalgia factor! When I gave it to my grandson for his birthday, I could see my own son have that whimsical glint in his eye at the amazing storyteller of his childhood! 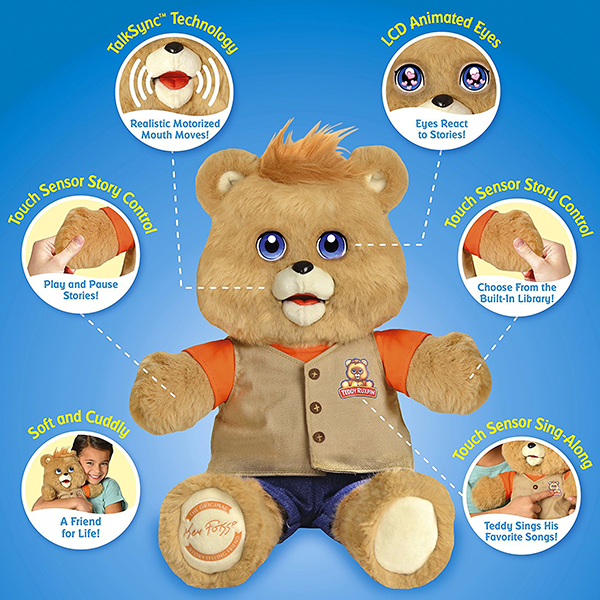 If You Liked Teddy Ruxpin, See More Related Products Below!